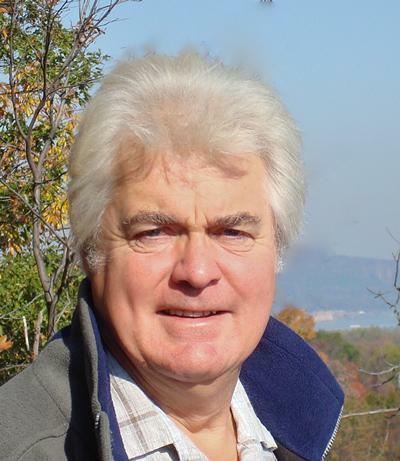 Professor John Shepherd is Emeritus Professor of Earth System Science within the Ocean and Earth Science department of the Faculty of Natural and Environmental Science, University of Southampton, at the National Oceanography Centre Southampton. Development and application of intermediate complexity models of the Earth climate system (especially for the interpretation of the palaeo-climate record). Shepherd, J. (2010). Geoengineering the climate: science, governance and uncertainty. Ocean Challenge, 17(1), 10-11. Yool, A., Price, A. R., Marsh, R., Cox, S. J., & Shepherd, J. G. (2005). Earth system model optimisation using response surface modelling in the Grid-enabled GENIE framework. Geophysical Research Abstracts, 7, 9185-9185. Price, A., Lenton, T., Cox, S., Valdes, P., Shepherd, J., & The GENIE Team, N. (2005). GENIE seeks answers on global changes. GRIDtoday, 4(15). Price, A., Lenton, T., Cox, S., Valdes, P., Shepherd, J., & The GENIE Team (2005). GENIE: Grid enabled integrated earth system model. ERCIM News, 61, 15-16. Shepherd, J. (2004). Macro-engineering options for climate change management and mitigation. IGBP Global Change Newsletter, (59), 20-21. Shepherd, J. G. (2000). Book review: Global energy and water cycles, ed. K.A. Browning and R.J. Gurney. Global Atmosphere-Ocean System, 7(2), 180-182. Shepherd, J. (1997). Oceans of truth. Book review - Cod: a biography of the fish that changed the world by M. Kurlansky, Walker: 1997. Nature, 388(6645), p.843. Lampitt, R. S., Achterberg, E. P., Anderson, T. R., Hughes, J. A., Iglesias-Rodriguez, M. D., Kelly-Gerreyn, B. A., ... Yool, A. (2010). Ocean fertilisation: a potential means of geo-engineering? In J. M. T. Thompson, & B. Launder (Eds. ), Geo-Engineering Climate Change: Environmental Necessity or Pandora's Box? (pp. 149-180). Cambridge: University of Cambridge. Shepherd, J. G., & Pope, J. G. (2002). Dynamic pool models I: interpreting the past using Virtual Population Analysis. In P. J. B. Hart, & J. D. Reynolds (Eds. ), Handbook of Fish Biology and Fisheries, Vol. II: Fisheries (pp. 127-163). Oxford, UK: Blackwell. Shepherd, J. G., & Pope, J. G. (2002). Dynamic pool models II: short-term and long-term forecasts of catch and biomass. In P. J. B. Hart, & J. D. Reynolds (Eds. ), Handbook of Fish Biology and Fisheries. Vol. II: Fisheries (pp. 164-188). Oxford, UK: Blackwell. Shepherd, J. G. (2001). Fisheries management: breaking the deadlock. In G. Till (Ed. ), Seapower at the Millennium (pp. 233-235). Stroud: Sutton Publishing/Royal Naval Museum. Shepherd, J. G. (Ed.) (2004). Macro-Engineering Options for Climate Change Management & Mitigation (Tyndall Centre & Cambridge-MIT Institute Symposium). Macro-Engineering Options for Climate Change Management & Mitigation, . Shepherd, J. G., & Working Group on Geoengineering the Climate (2009). Geoengineering the climate: science, governance and uncertainty. (RS Policy document; No. 10/29). London, GB: Royal Society. Williamson, M., Lenton, T., Adams, B., Shepherd, J. G., Yool, A., & Marsh, R. (2004). A simple coupled terrestrial carbon-physics land scheme for use in a closed carbon cycle climate model of intermediate complexity. (Southampton Oceanography Centre Internal Document; No. 96). Southampton, UK: Southampton Oceanography Centre.